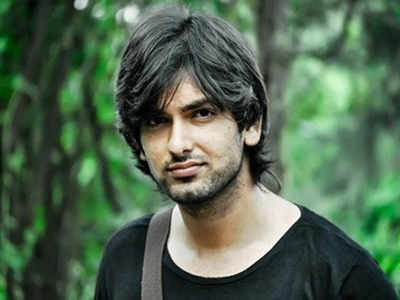 Rahul Sharma is a known face in the small screen in India. He was born in Dausa Rajasthan on 28th November 1989. He did his schooling from Dausa High School and later went on to complete his graduation from Jaipur University in arts. During his school and college days, he used to like dancing and acting a lot, which soon made him decide to enter into this world. He then headed to Mumbai once he stayed in Jaipur trying theatre and similar other things. So, with a bit of his struggle in Mumbai, he got his first break in TV screen called Kahaani Chandrakanta Ki where he played the character of Yuvraj Indrajeet Singh in the year 2011. However, he got his recognition with his next TV show called “Teri Meri Love Stories” which was aired in 2012 in Star Plus. He played the character, Aryan with Umang Jain. He then got a slew of other TV shows, which include Ek Ghar Banaunga (as Aakash Garg at Star Plus), Ek Rishta Aisa Bhi (as Raghav Roy at Sony Pal), Satrangi Sasural (as Bharat Bhushan Chautala at Zee TV), Naagarjuna – Ek Yoddha (as Arjun played at Life OK), Dr. Madhumati On Duty (as Rahul at SAB TV), etc. Some of his recent shows include Tanhaiyanas Raza Siddiqui in Hotstar, he then got a mythological serial, Vighnaharta Ganesha and played Lord Vishnu in it that was aired on Sony Entertainment Television. He then did Kaal Bhairav Rahasya playing Rahul Prakash, which was aired at Star Bharat while he is currently doing the show Mitegi Laxman Rekha played by Vishesh at &TV. Talking about his personal life, he dated a banker for six years in, but they broke up as she did not him to pursue a career in acting. Now, he is single and not ready to mingle as he is focussing on her career. Talking about his physique, his height is 180 cms, and his weight is 75 kgs. His waist is 32; biceps is 15 inches and chest is 42. Stay tuned to know more about the actor and other TV and film actors.